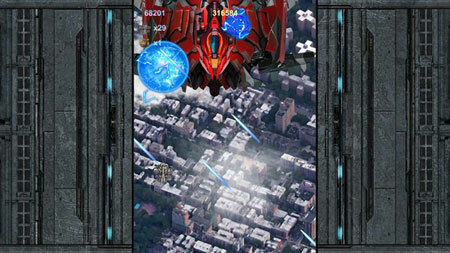 Sky Reper is a vertical reel flight shooting game. You control the different planes and fights over the city. Each aircraft has three different means of attack – Basic Attack, Force Attack, and Bomb Attack. The power of basic and power-up attacks is related to your current firepower. After destroying a specific enemy, you can eat a blue Power Up for up to 4 times. The power of the bomb is constant, and you can also get extra bombs by destroying specific enemies. The difficulty of the game will gradually increase with the level. It is definitely not an easy task to clear the customs. If you get stuck in the game, check out the video walkthrough and gameplay for the game. This entry was posted in PC Games, Walkthrough and tagged Sky Reaper Cheats, Sky Reaper Gameplay, Sky Reaper Guide, Sky Reaper Strategy, Sky Reaper Walkthrough by Marvin. Bookmark the permalink.